The Audi RS3 offers 80s supercar power, all-wheel-drive dependability and precision handling. Unlike its rivals, it’s also available in saloon form. 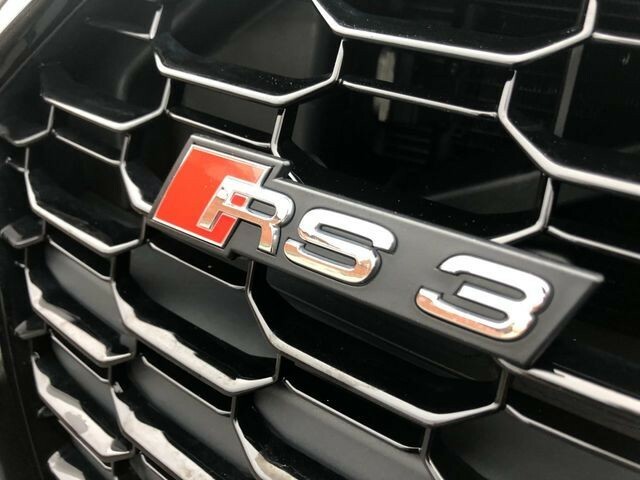 The RS3 has followed the same pattern since its introduction in 2011. A turbocharged five-cylinder engine up top powering all four wheels, while it may not be the most inspiring car on twisty B-roads, no one can argue its point-to-point pace. It also inspired its rivals to try and better the offering from Ingolstadt, think Mercedes-AMG A45 or Ford Focus RS. A refresh in 2017 saw Audi’s fastest small saloon receive a number of mechanical changes as well as taking it’s crown back as the most powerful hot hatch in the business. The ride and handling were vastly improved, this is best demonstrated on empty, wet roads. To fully exploit this car though, a day on track is needed, the RS3’s limits are far beyond what you’d call sensible on UK roads. It goes without saying that the Audi RS3 interior is a cut above its rivals’. The quality is second to none, you’re never left wanting for extra features and it lacks any tacky plastic. 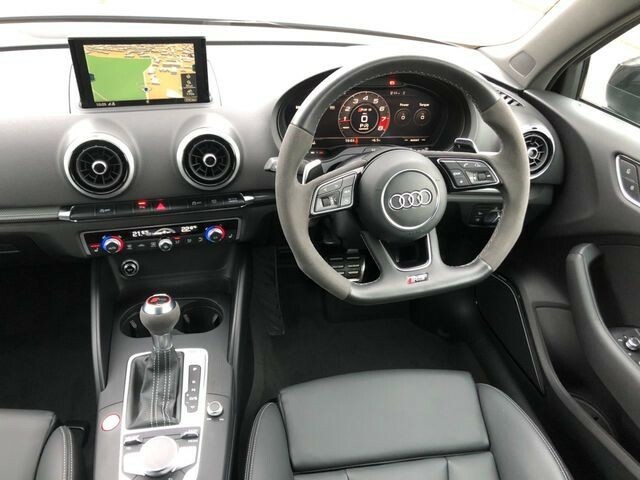 The facelifted models also feature Audi’s Virtual Cockpit, a 12.3-inch screen that displays your speed, tachometer and any number of other displays you want. Many manufacturers have tried to replicate this system, but few get near. The Audi RS3’s engine is shared with the new TTRS, the 2.5-litre turbocharged block has ditched its iron block in favour of an aluminium design instead. This process alleviates a whole 26kg from the front axle! In a bid to make the car more playful, up to 100% of the car’s power can be sent to the rear wheels. A launch control system is present too to make the most of all that power without turning your tyres into 4 giant smoke clouds! View the used Audi RS3 car that we currently have for sale online now!